Crush your Minecraft friends with an anvil and get carpets with skins of your friends, so rare. Player Rugs 1.7.10 is a kind of weird how that will let you show your friends Minecraft with their skins, as if they were carpets. Yes, it’s a little weird, in fact its author confirms and says he got the idea while joking with another player. This mod is triggered when a player dies to drop you an anvil top. At that time the player drop an object with your skin, you can put it on the floor of our house, as if it were a carpet. You can actually act as if after a battle with your friends, the winner, the loser gets the carpet to expose him as a hunting trophy. How to install Player Rugs Mod for Minecraft 1.7.10? 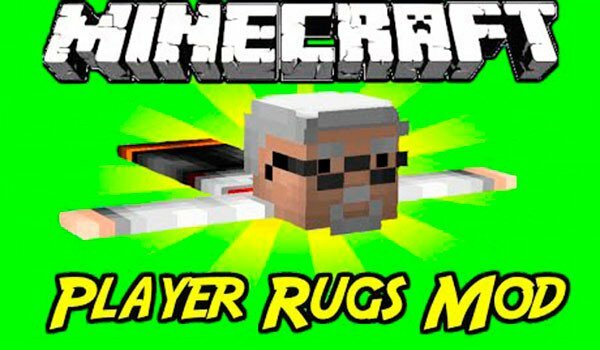 Carpets with your Minecraft friends skins!